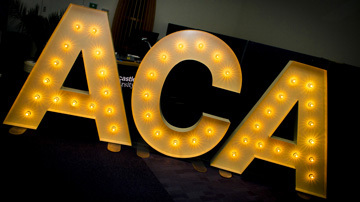 THE CEO of one of the region’s most successful businesses has passed on words of wisdom at an event celebrating the achievements of the next generation of ICAEW Chartered Accountants. 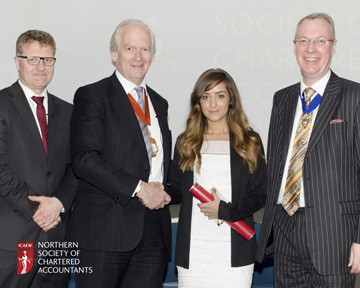 Robert Forrester, CEO of Vertu Motors Plc, who himself is a qualified chartered accountant, spoke at Northern Society of Chartered Accountants’ Graduation and Prize-giving Event, an event that celebrates the brightest young stars of the accountancy world. 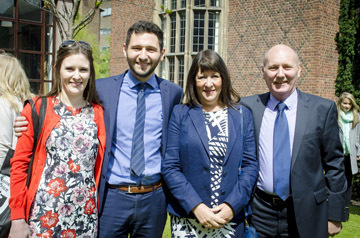 The reception – held at Newcastle University – marked the end of studies for more than 50 newly qualified chartered accountants, and was attended by 200 people including the students themselves and their family and friends. Mr Forrester, who had a successful finance career with Arthur Andersen, before joining Reg Vardy Plc where he built his knowledge of the motor trade, spoke to newly qualified members about how valuable his ICAEW qualification had been throughout his career. Mr Forrester who has been at the helm of the firm – the fifth largest automotive retailer in the UK – for ten years, said: “Qualifying as a chartered accountant at the start of my career really did set me on a pathway to success, so it’s fantastic to be able to stand up in front of a cohort of newly qualified professionals and share my own story. The event was an opportunity to celebrate for students completing their ICAEW Advanced Stage Exams and for those who attained the highest marks to be recognised. The ICAEW’s national president Andrew Ratcliffe, and Northern Society president Rob Tindle were also in attendance and spoke at the event. Mr Tindle said: “It’s always a pleasure to attend an event that sees newly qualified professionals marking their achievements. 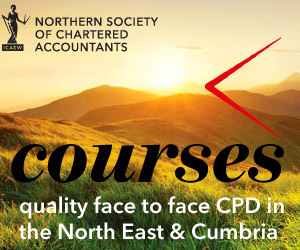 “The ICAEW exams the students complete are extremely challenging – the standard of practice they need to demonstrate in order to qualify is exceptionally high, and so it is a huge achievement for each and every person in attendance. 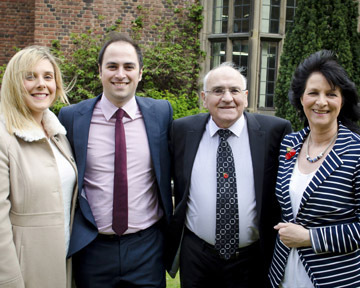 This year’s event celebrated the achievements of some 54 young people, who attended with their family and friends. The event was supported by Newcastle University Business School, the Chartered Accountant’s Benevolent Association (CABA) and CAPET.